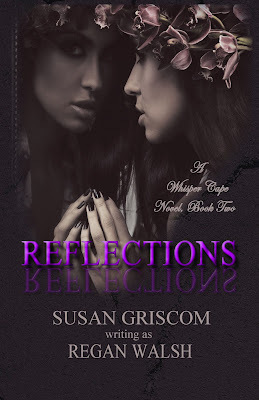 I want to welcome the lovely and beautiful Susan Griscom with her latest release Reflections ( A Whisper Cape Novel ). Okay book 2 was no disappointment. Susan successfully took us on a journey with Gerry and Maia. I found Gerry to be a fantastic character this time around. I found myself laughing a lot throughout this whole story. Gerry had to have been a fun character for Susan to write. In Whisper Cape Gerry had a tendency to upset me when it came to Addie even though I knew he was only looking out for her, but in book 2 I fell in love with Gerry's character. Even though Cael still has my heart. ;) With A stalker and past coming back to haunt Gerry and Maia can they have a future together with the baby on the way or will their past destroy their futures. I am a spoiler free reviewer so you will have to get the book to find out . You will not be disappointed though. Susan will leave you begging for more. I will say that I loved the brief short time we spent in Scotland. It was beautifully written. I also love how Breena's character is developing I adore her and can not wait to read more on her. Hopefully Book 3 is right around the corner because it is going to kill me not knowing what is going to happen. Susan has left us with a very suspenseful ending. She knows how to tease us with the words she writes she always leaves us wanting and needing more of the mysterious town of Whisper Cape. Whisper Cape was originally supposed to be a stand alone but us readers would not let Susan do that we demanded more and she graciously gave us more. Only she has left us wanting more yet again. I think the small town Of Whisper Cape has more to tell us. I think we are in for a journey that will keep us intrigued. I think we are at the beginning of what can turn out to be a fantastic series with amazing characters. Regan Walsh was born, Susan Marie Whittaker, in a small town in Pennsylvania. 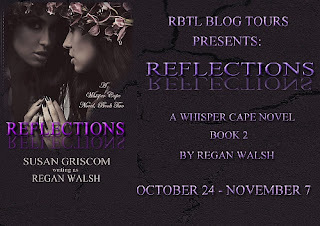 Under the name, Regan Walsh she writes the popular paranormal-urban fantasy, Whisper Cape, series and writes young adult and mainstream under her married name, Susan Griscom. Her paranormal playing field delves into a different milieu, abandoning vampires and werewolves, but not discounting them. Someday she might like to write a novel about vamps and those furry creatures. But for now she likes the bizarre mixed with romance. A strong hero or heroine confronted with extraordinary forces of nature, powers and capabilities gets her blood running hot. She enjoys traveling. She hates running, but does it once in awhile Reading and writing are her favorite pastimes. I daydream often and sometimes my daydreams interrupt my daydreams. So I write to remember them. If I didn't write, I think my mind would explode from an overload of fantasy and weirdness. To the annoyance of my friends and family, my characters sometimes become a part of my world. During my childhood, I would frequently get in trouble in school for daydreaming. Eventually, my vivid imagination paid off and I had the privilege of writing and co-directing my sixth-grade class play--a dreadful disaster, though not from my writing, of course, I must blame it on the acting. Make sure to enter both rafflecopters listed below. Hia Anna, Thank you for the lovely review and awesome post. I am so fortunately to have you as a friend and so glad you joined my tour. I haven't read it, but I've heard a lot about them and want to find out what all the buzz is about! I'm seeing this book more and more places and would love to win a copy. I've not read this book yet. Isn't this the second book in the series? Would I be able to understand what's happening if I haven't read the first book? i read whisper cape a while ago, so i really cant think of a particular scene. congrtulations and thanks for the giveaway. I have not read "Whisper Cape" yet. Haven't because I have lots of books for reviews to read but once I get caught up, I will fix that. It is on my TBR list too. I have not read it yet but it looks really good so I would love the chance too! Thank you for the giveaway. It is definitely on my trl - so many books!! Thank you for sharing with us today and for this awesome giveaway opportunity. Congratulations to Regan on this new release. I love the cover and am looking forward to the read. 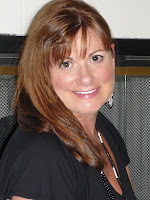 I have purchased Whisper Cape and have it in the TBR and obviously need to move it up! Not sure I've left a post before. I've been without power since last monday. I'm here on my son's computer. I haven't read the first book in the series but I'd love to get the opportunity . I am SO thrilled to have won the print copy of Reflections! Thank you, Anna and Susan, so very much! Now I have the set in print - SQUEEEE!!! !